India got defeated from South Africa in ODI series very badly by 2-0 after which they are under massive Criticism. Indian team is often criticized for performing well on home pitches and performing bad when they play in other countries. Same is happening on ongoing India tour to South Africa. India and South Africa are now going to play 2 test matches. 1st Test will be played from Wednesday 18th December in Johannesburg. Indian batsmen are finding it hard to face Fast bowlers like Dale Steyn and Morne Morkel on bouncy fast pitches. In test series Vernon Philander will also be there to trouble Indian batsmen. South Africa's test captain Graeme Smith is very hopeful for winning test series as well against India. Indian test squad Includes experienced fast bowler Zaheer Khan who has made a comeback after a long time. Indian would be hoping that Zaheer will bowl well against Strong South African batting line. Cheteshwar Pujara, Murali Vijay and Pragyan Ojha are also part of Indian test squad. If India has to win it will have to perform well in both Batting as well Bowling department. In ODI series we seen Indian bowlers performing poorly due to which South African batsmen were able to setup big totals in all matches. 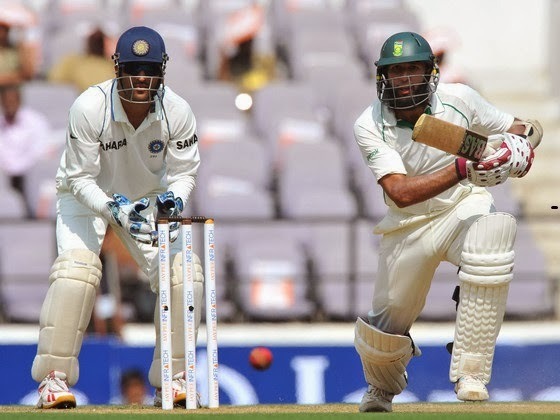 Head to head India and South Africa played 27 Test matches. South Africa won 12 and India won 7.